Fleshy greyish purple leaves on dark red stems. 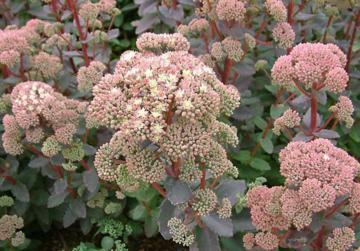 Dense heads of deep reddish pink buds open to small creamy yellow flowers, giving a two-tone effect, in late summer and autumn. Very attractive cultivar.